Celebrating 100 years of the Occupational Therapy profession, this Centennial Edition of Willard & Spackman’s Occupational Therapy continues to live up to its well-earned reputation as the foundational book that welcomes students into their newly chosen profession. Now fully updated to reflect current practice, the 13th Edition remains the must-have resource that students that will use throughout their entire OT program, from class to fieldwork and throughout their careers. One of the top texts informing the NBCOT certification exam, it is a must have for new practitioners. Packed with first-person narratives that offer a unique perspective on the lives of those living with disease, this edition offers much that is new as it continues to help students and clinicians develop the knowledge and skills they need to apply a client-centered, evidence-based and culturally relevant approach across the full spectrum of practice settings. 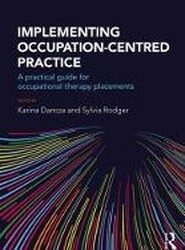 This exciting first edition uses a practice focus, with heavy emphasis on application, to help students understand the most common Occupational Therapy theories and select the best for each individual situation. Dr. Alterio takes a unique, holistic approach by providing both the clinical context for how the theories play out in the real world, as well as a methodology for evaluating and applying the most relevant theory to ensure the best possible intervention outcomes. 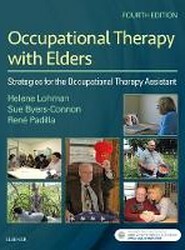 Assists occupational therapy practitioners in evaluating and treating frequently seen shoulder conditions and the associated effects on occupational performance. Includes step-by-step through the pathoanatomy of the shoulder and the evaluation of dysfunction around the scapulathoracic, glenohumeral, acromioclavicular, and sternoclavicular joints.